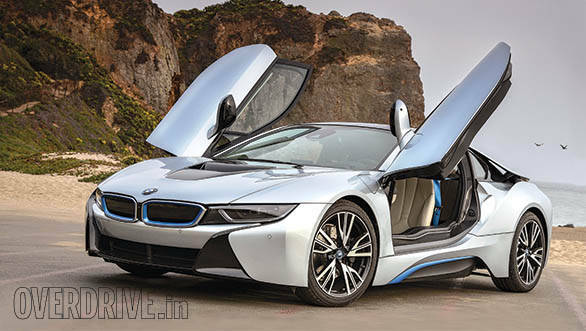 BMW's i8 is pure fantasy on many counts. Except that it stands in the hotel porch. And we have the keys. There is also a gent in a blue BMW tee who's saying something like, "Have fun! The roads here in SoCal are terrific!" We pinch ourselves to check if this is a dream. It's real. We were rather impressed when BMW decided to attack hybrids and other future powertrained cars by creating a whole new, end-to-end eco-friendly car platform and brand. For instance, BMW not only has organic leather dyes and organic fibres but also emphasizes that the car is being built at a plant sourcing hydro-electric power. The carbon fibre not only saves weight and raises efficiency but also because makes it possible to deploy the material elsewhere. Lighter cars, clearly, consume less fuel. You could just sling an electric motor into an existing car and be done with it. But BMW believes the easy approach might get you quick results but leave you with worse consequences. Philosophically, what we deeply enjoyed about the i8 was that it revelled in its newness of idea, form and function. Too many cars hide revolutionary ideas so they don't startle traditionalists. The i8 flaunts what it's got. The layered bodywork, the combination of lines and stance is all unfamiliar and people notice. The pen has been wielded with great skill because the whole time in LA, we couldn't find another car that could out-swank or out-cool the BMW i8. In this sense, the i8 is what the Prius cannot ever be. The wee Toyota's distinctive shape identifies you as someone who cares for the Earth. The i8 says you not only care but you'd also like to have a good time while you are on Earth. That exclusivity, great looks, green notions and yes, performance can all come together. The promise of performance is delivered. BMW uses a brand-new 231PS twin scroll turbo 1.5-litre three-cylinder engine that drives the rear wheels. Up front is a 96kW (131PS) electric unit that drives the front wheels. The engine sips petrol while the electric motor sips from a lithium-ion battery and can be charged from a power socket at home. The two propulsion units talk to each other via BMW's new power control electronics - perhaps the simplest way to hook the two up. What this does, of course, is give you 37km of all-electric front-wheel drive range (EU cycle) and a top speed of 120kmph. But a press of the throttle pedal away lies a 4.4 seconds to 100kmph capable sportscar with all-wheel drive engineered to feel like a rear-wheel drive car. A car that manages 48kmpl on the EU driving cycle. In the real world, BMW says 20kmpl or so should be possible. The longer the trip though, the more the petrol engine will have to work, obviously. But still the i8 should consume about half as much gas as any comparable sportscar. It is a real world car in other ways too - the batteries are expected to last the life of the car. We cruised the LA streets in full-electric mode and it's a bit eerie as the i8 makes very little sound. At street speeds, it doesn't even have tyre noise. Electric motors make peak torque at all rpm which is lovely. Any pressure on the accelerator pedal produces strong thrust that feels absolutely amazing. As the charge depletes, the car turns on the petrol engine and you will feel a minor shudder as it starts up. In normal driving, the engine is a silent player. On switching to sport mode, the petrol engine starts to come out and play. Speakers are used to amplify the engine's natural sound and pipe it into the cabin. 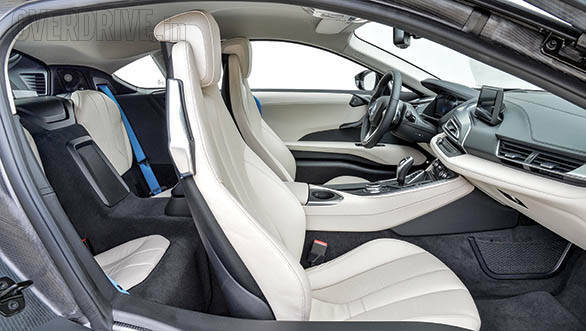 BMW insist this is not synthesized but more akin to a sound engineer using an amplifier and an equaliser to make the sound more audible and pleasing. In sport mode, you get great thrust as well as a pleasing baritone roar that accompanies the car as it darts between California's many corners with incredible pace. The carbon fibre frame makes the car really light and the design allows BMW to place the batteries really low. You get 50:50 weight distribution as well as a stunningly low centre of gravity. 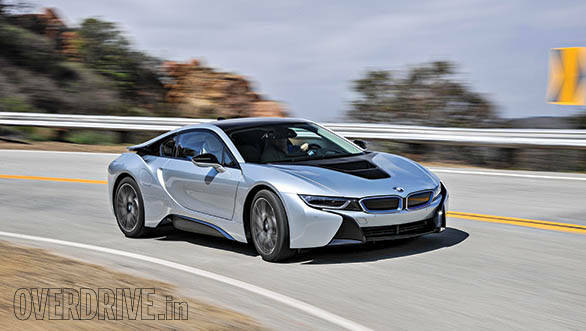 The i8 changes direction with improbable agility and remains stable as well as accurate. Driving up a mountain road at full tilt, our immature throttle and brake inputs failed to cause any misbehaviour that the traction control (you cannot turn it off all the way) had to fix for us. Of course, it isn't just the frame. The i8 also gets a double-wishbone front setup and a five-link rear setup. The tyres look a bit skinny (195/50 and 215/45 at the rear) but that's to lower the rolling moment and make the car more efficient overall. The 20-inch wheels, electric power steering and dynamic damper control is standard. The car awakens in comfort mode where the dampers are backed off. But they stiffen up in sport mode. You also have the Eco Pro mode where the car cuts consumption as much as possible. You can also force comfort or Eco Pro modes to run all electric with the eDrive button - the car decides when the charge is too low and reawakens the petrol engine. Ah buttons. 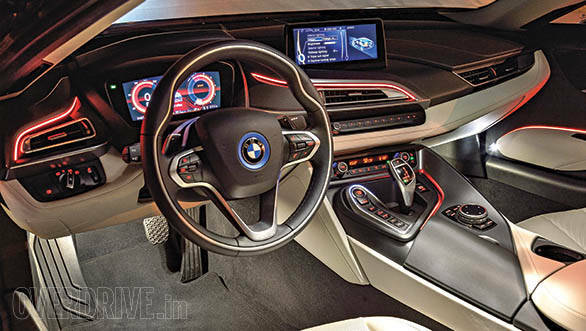 We've never been fans of BMW's all-pervasive interior design homogeneity. But the i8 made us smile. It still has a lot of BMW-ness to it but you can tell that it's taken a leap forward in time. 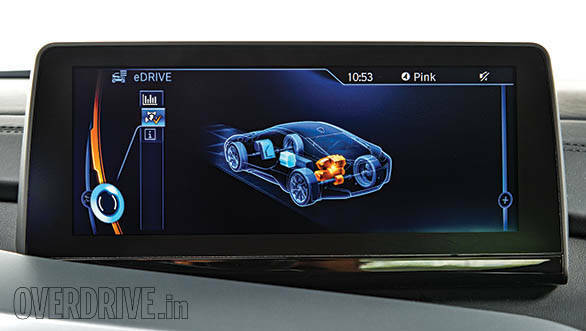 The meters behind the steering are actually a screen that changes colours and information depending on what you select for display and the car's drive mode. The effectiveness of the displays lies in their ability to be super informative without being super intrusive. 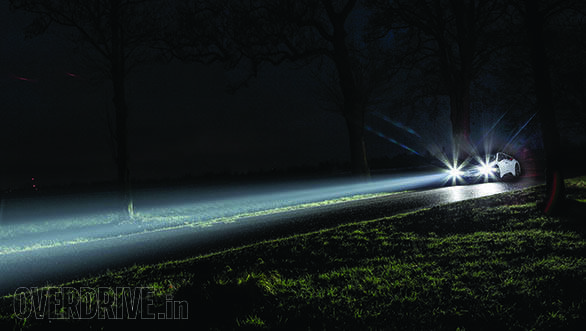 BMW also offer their head-up display and the newest technology on the block, laser head lights as options. BMW will bring the car to India later this year and the price will be high. But here's the thing. We thoroughly enjoyed driving the minty-fresh BMW i8. It is not only an impressive sportscar but there's an essential newness to its feel that will bring it many fans. It successfully suggests that performance and sustainable mobility do not have to be at odds automatically. And at a more subliminal level, that you're driving a car from the future. 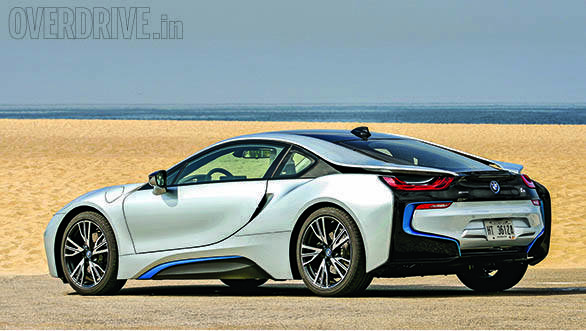 It's these two sensations that separate the i8 from other hybrids, even the famous ones. That's why we're convinced that BMW will never be able to make as many as people would want to buy.